Sammy the snail is none too chuffed when his parents announce they are moving to Japan. He’s only just got used to living in Italy and he’s really going to miss his playmates, so the prospect of having to make new friends in yet another country is distressing and upsetting. But thankfully young Sammy is an accomplished traveller and when his mum reminds him about their previous postings and how much he’s enjoyed living in different countries, he warms to the idea of moving again. 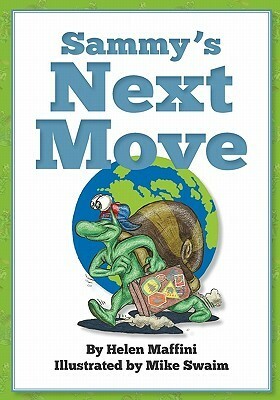 Sammy’s Next Move is written by seasoned expat and mother of two Helen Maffini and tells the story of what it feels like to be a Third Culture Kid, in a way that children will identify with. It’s a simple tale, engagingly written and very nicely illustrated and at less than 20 pages long, it’s ideal bedtime reading for children and their parents. With two pages of tips and project ideas for parents of TCKs, this is the perfect little book for any expat child about to embark on a new adventure.